Don’t stress about trying to find your baby pacifier dummy holder. 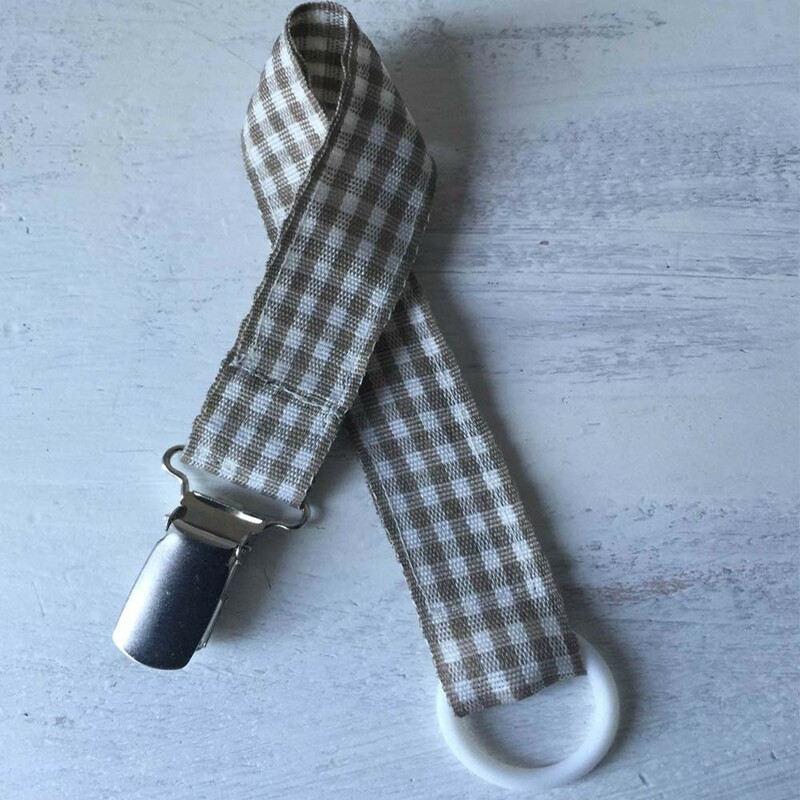 Our pacifier holder is made out of washable and durable material with a clip that is designed not to damage your child’s clothing. Magoo use ring to attach the dummy to the pacifier holder. 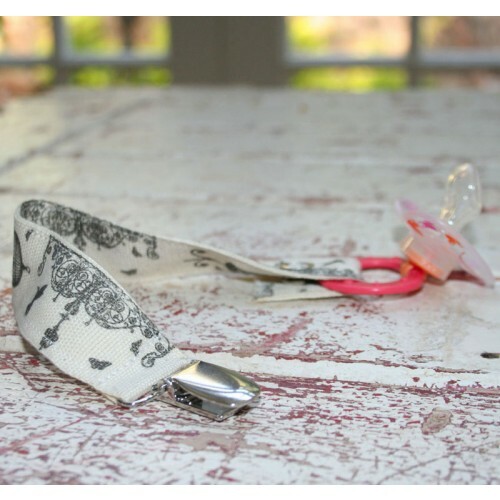 The Magoo pacifier clip/holder is easy to use dummy holder that allows you to access it with one hand. 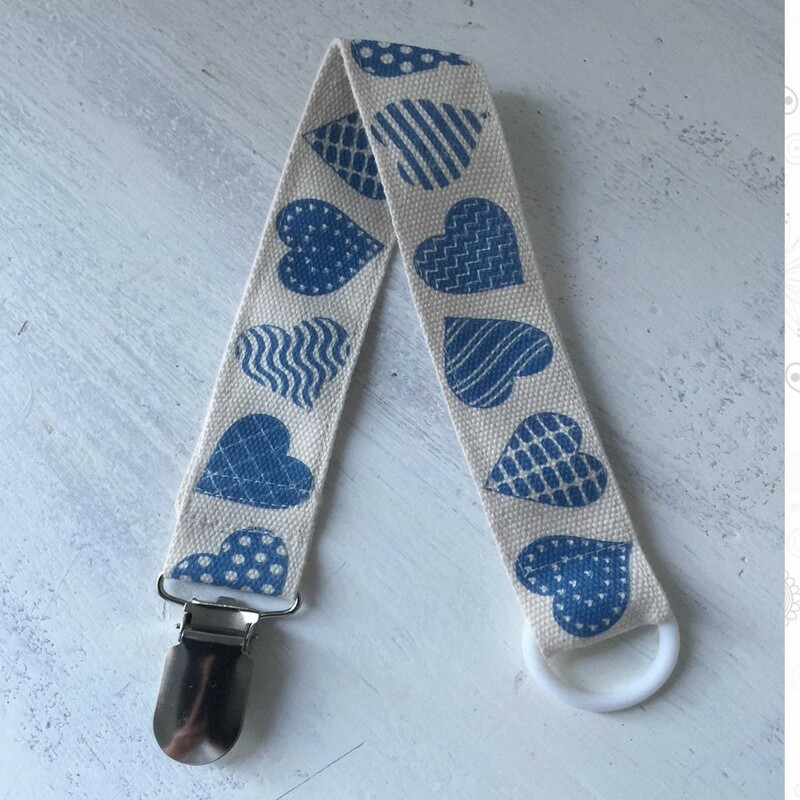 Our dummy holders keep soothers clean and close at hand when you need it most. 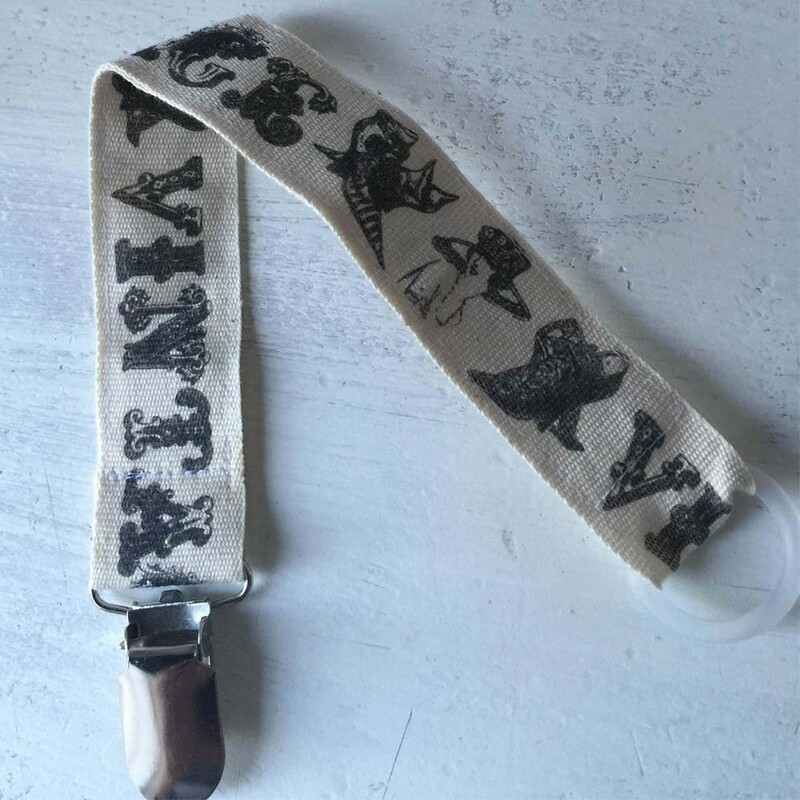 This Vintage baby rocks dummy holder has a velcro section that attached to the dummy and a plastic clip that won’t damage your child’s clothing. Vintage style dummy holder WARNING! 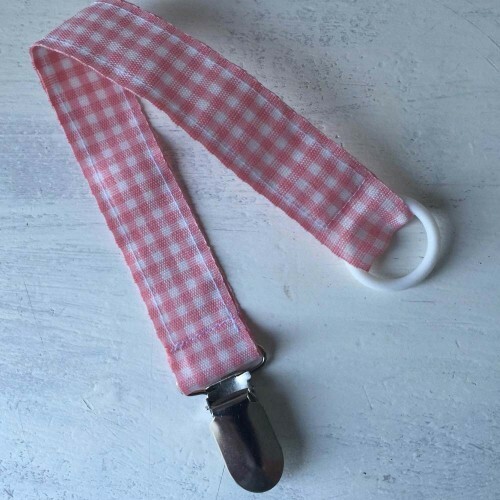 Do not leave your baby unattended at all times with the dummy holder. Move the dummy holder clip away from your baby to make sure they dont bite on the clip.